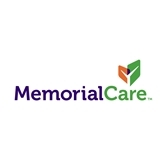 MemorialCare Medical Group San Juan Capistrano (San Juan Capistrano) - Book Appointment Online! Very well. Professional, attentive and explained all ver well. Miss Alva and her staff always listen & respond to my needs and concerns. I am grateful to have such a warm & caring provider. It was quick & easy, felt very comfortable.